I had to leave early from Chachian in order to reach Mandi before sunset. The 110 kms travel took a long time. 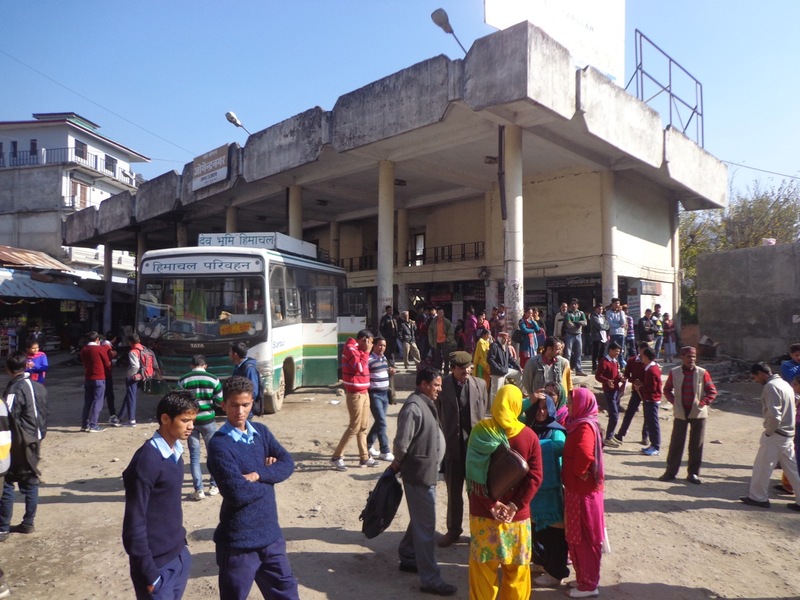 A private bus that had come from Dharamshala took 45 minutes to reach Palampur bus stand. It stopped at every other corner for passengers. Waiting for the bus in front of Pops Hotel and Restaurant. There were many times where the bus was stuck in a deadlock with vehicles headed the other way. 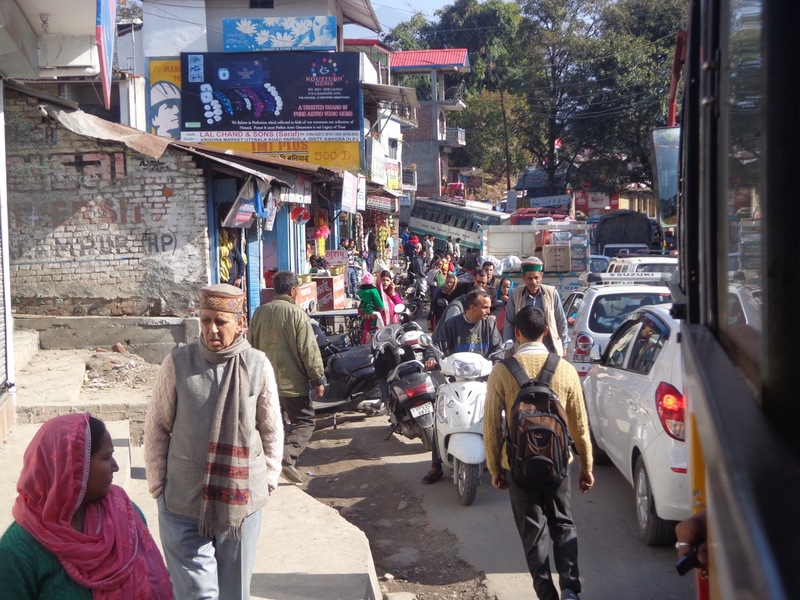 It takes skilled and experienced drivers of the hills to resolve these deadlocks. The drivers have some kind of understanding which allow them to automatically back off or slide to the sides without any verbal communication. A jam at Paprola. The drivers must have to take an extra exam on non-verbal communication to get their license. People in Delhi and Punjab probably take one on verbal communication. 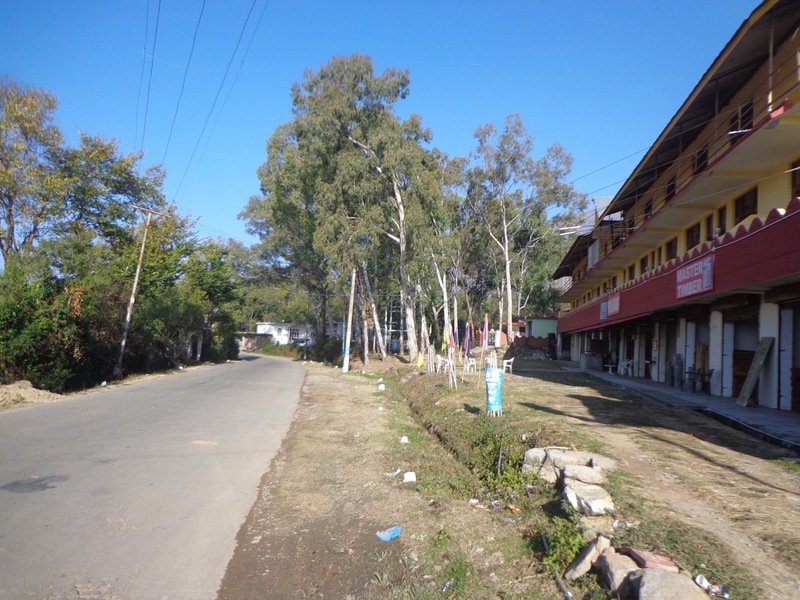 Joginder Nagar bus stand. 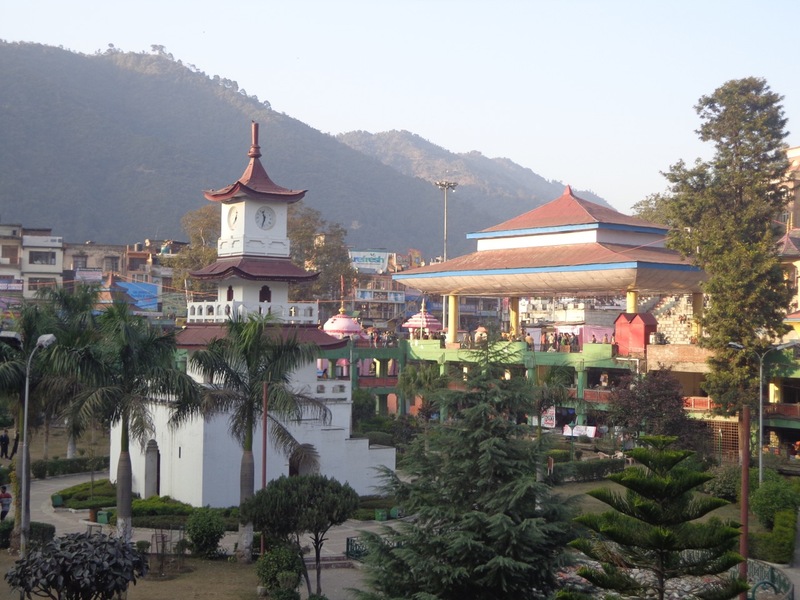 It is situated midway between Palampur and Mandi. The bus took a 20 minutes break here. This was one of the last views of the Dhuladhar range. 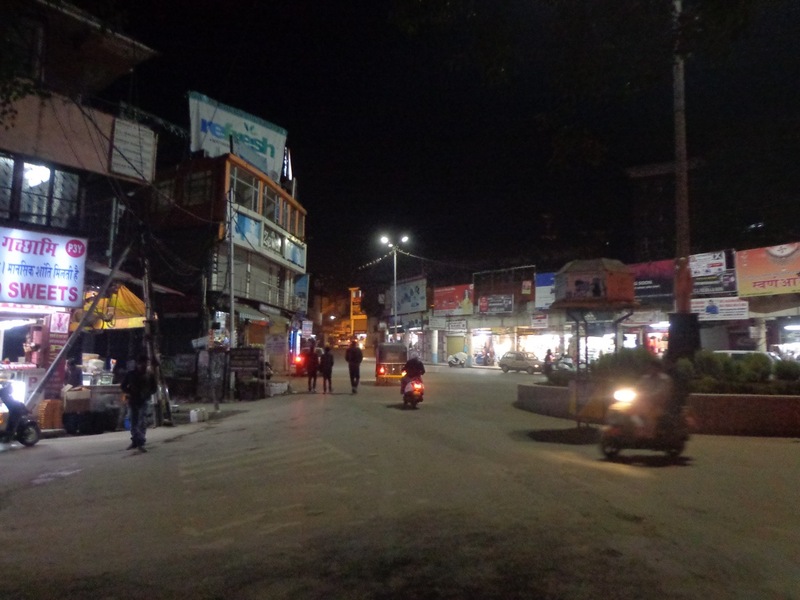 The bus then entered the steep hills of Mandi via Kullu district. 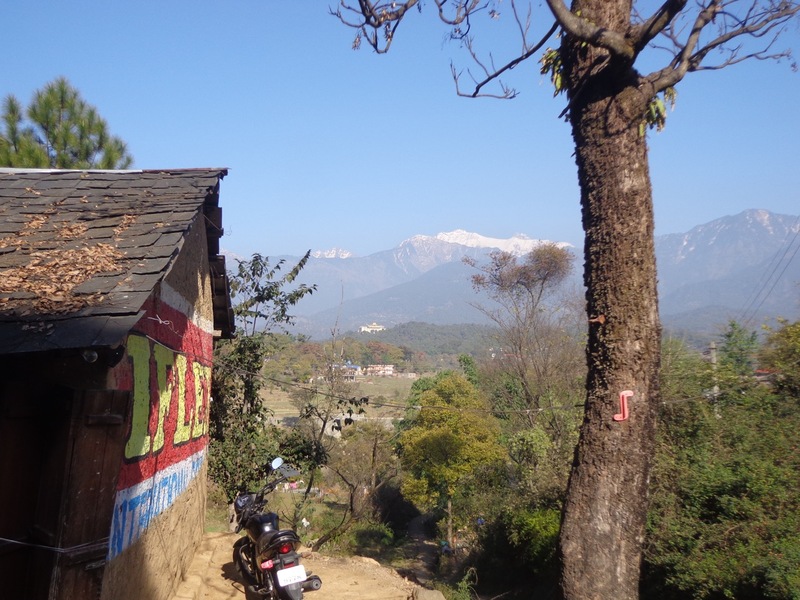 Schools in Kangra and Mandi districts remain open throughout December. Lot of Kids got on and off throughout the journey. Wrong usage of parenthesis. They need this book. I reached Mandi at about 3:00 pm. My entire day was spent in the bus. I got an apparently good deal for a hotel in Mandi called Hotel Sangam. The deal sounded too good to be true. As the saying goes, if something is too good to be true, it probably isn’t. It wasn’t. The hotel didn’t mention that the room they had advertised for the awesome price of 400 rupees did not have attached bathroom. 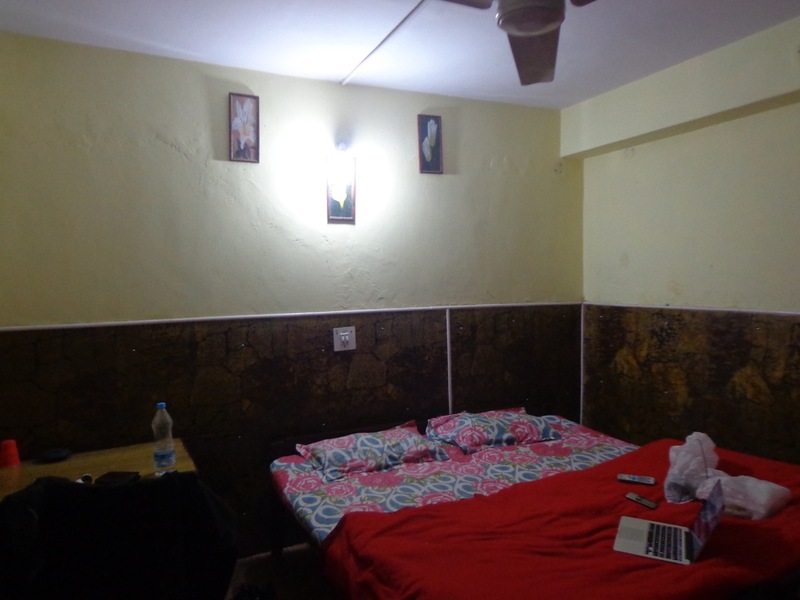 I paid 300 rupees extra to shift to another room that wasn’t as bad but was not even as good as Backpackers Inn of Dharamshala. My room at Hotel Sangam. It has a CRT TV with menu in Tamil. Indira Market is just across the road. I had a lot of junk food for my evening snacks. There is also a Kali temple inside but I have had enough of temples already. 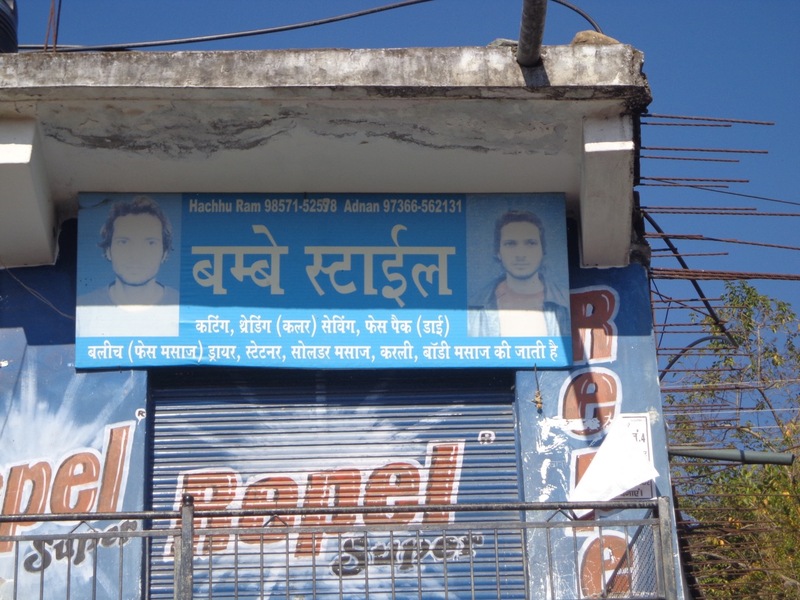 Mandi closes a tad bit later than Dalhousie or Dharamshala. At 8:30 pm, some shops were pulling down their shutters. Even though some shops were getting closed, most were still open. Some were open at 9:00 pm, when I was done with my dinner. I entered a bar to have some food. I have seen that bars usually serve better food. My hypothesis is that they have to do so lest they incur the wrath of drunken public. I had my dinner at Standard Hotel, Restaurant and Bar. They call the dish Boneless Chicken Roast. 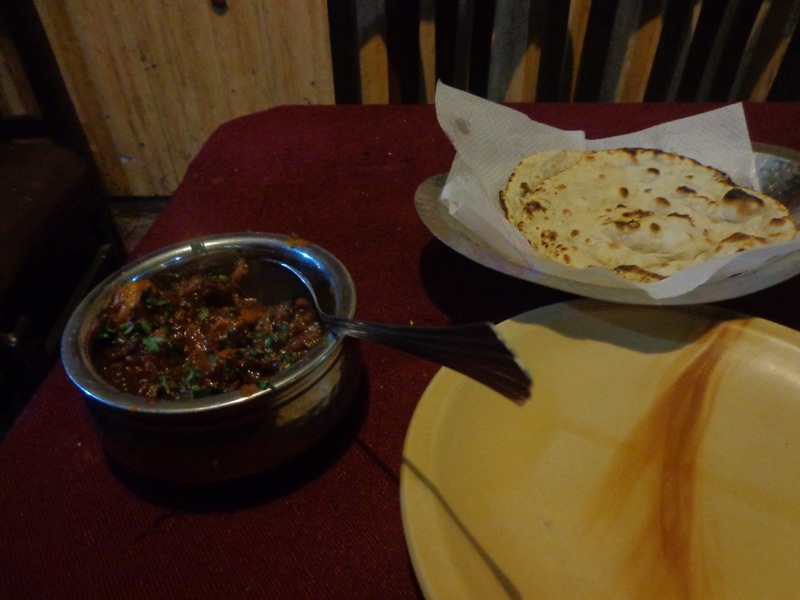 It is one of the best chicken dishes I have had during my trip.